Needle 101 is an opportunity to learn what we all should have been taught when we first learned to needle. In this class you will learn how to access qi within the points and channels and how to manipulate qi to produce reliable effects. We will cover how to needle points to activate their various point functions. For instance you will learn how to needle Zu San Li (St-36) to either activate the channel or tonify qi and nourish blood and yin. We will look at how to needle Li Que (Lu-7) to open and regulate the ren or release the nape of the neck. You will learn how to interact with the qi to create reliable and tangible results in your practice. In order to have these powerful effects you will learn how to needle using both hands, the power of your posture and movements and the importance of what needle you use. It is my hope that everyone taking this class will find not just immediate benefit to their patients the very next day in clinic but also a revitalized sense of purpose and interest in needling. In this class we will spend a large portion of time dedicated to hands on work. Theory will be discussed but the emphasis will be placed on practicing the material that is taught. Each student will have a significant amount of time to practice the various techniques, receive feed back from their partners as well as feed back and coaching from myself. You will also feel what it is like to receive these techniques. We will cover three basic needling techniques: cooling sky, burning mountain and channel traveling. From these three fundamental techniques you can create a thousand different ways to needle. We will also practice the qigong of needling. This is not an esoteric practice, but rather a constant attention to your body and how you are engaging it while you needle. Great emphasis will be placed on how to stand, hold the needle, manipulate your hand while needling and of course how to breath and shift your body to best engage the qi. When a patient is agitated and vexed, qi is bound, hot, over crowding an area you can use this technique to drain and draw out excess qi and heat. The patient will feel a cool ease wash over them as their excess is drained away. This technique is used to gather qi into an area. It can be used when there is taxation and deficiency to fill that deficit. Patients will feel a relaxing fullness arise. When there is cold patients will feel warmth as blood flow returns to the area. A variation of burning mountain is 108 hands of Lohan. This is a powerful tonifying technique that takes burning mountain to the next level. Done well this can be deeply rejuvenating and hypnotically relaxing for the patient. Through channel traveling we are able to direct qi in the channel. We can help sinking spleen qi rise or descend raging stomach qi bound in the eyes. Use channel traveling to direct qi through the channel to a specific area you would like to affect, send qi to an organ or send qi to blast away damp bi in the lower leg, the possibilities are endless. This is a fancy way of saying the art of needling. When I was in school teachers told me to needle in a tai qi stance or stand like a vessel between heaven and earth. Sad to say I never got many more tips on how to be this vessel. What we will go over are simple and easy ways to enhance your needling techniques. You don't need to be a qigong master to learn this. We will specifically cover how to use your hands while needling such as what is a good angle to hold the needle and how can you use your left or non dominant hand to enhance the effect of your needling. From there we will look at how your posture effects your needling and how to subtly shift your body to further empower your needle action. Use of breathing will also be covered. In short qigong needling is the study of how your entire body comes together to get behind each point that you do. The more of these pieces that come to bear the more potent the treatment. This class is inspired by what I have learned from my teacher Andrew Nugent-Head. It is a way to pass on practices to others I have found valuable and special in my own clinical experience. What I learned from Andrew has opened up doors for me in Chinese medicine that I never even knew where there. 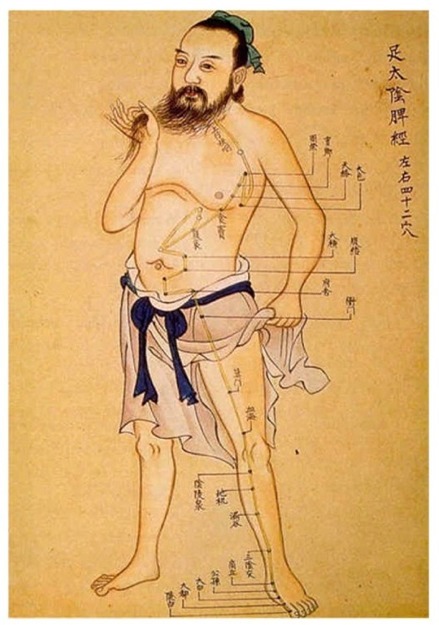 From what I have learned I now have the relationship to acupuncture, qi and Chinese medicine that I always dreamed of having.